This is a limited 2-day only sale that will expire at midnight (Thursday, May 26, 2011). Click here to buy now or for more information about the deal. Quantities are limited so don’t miss out! Limit 1 per person, may buy 2 additional as gifts. Limit 1 per visit. 7 day cancellation notice required. With today’s Groupon: for $25, you get $50 toward cooking classes at Cookshop & Cookschool. Boasting a different cuisine every day of the month, Cookshop’s cooking classes showcase an array of talented chefs as they mince their way through three or more well-scented hours. Either demonstrative or participatory, the classes entice students to absorb cooking-show-esque knowledge or throw caution to the wind and cover exploratory fingers with icing. Voyeuristic taste buds can journey the world, kicking off a global tour with the June 9 Passport to Italy class, a Sicilian romp through roasted artichokes, tomato-bathed chicken, and ricotta-filled cannoli ($49). Dessert fanatics create sugary, edible pets in a participatory Cupcake Magic class—offered June 26 and July 31 or July 10 for kids ages 10 and older ($59)—which creates a baroque fantasy out of the vanilla cupcake with rolled fondant, rosette swirls, icing drop flowers, and frosting caricatures of local government officials. Culinary horizons are further expanded in delectable class offerings such as Sushi ($59) and Indian Favourites ($79), making restless tongues feel appeased and yearning kitchen appliances feel loved. This is a limited 2-day only sale that will expire at midnight (Wednesday, May 25, 2011). Click here to buy now or for more information about the deal. Quantities are limited so don’t miss out! Limit 4 per person. Limit 3 per visit. 24hr cancellation notice required. Valid drivers license required; must be 19 or older to sign waiver. Valid only for option purchased. Deposit required if no insurance is purchased; insurance available. Major credit card required for deposit. For $133, you get a tandem Jet Ski tour (a $266.56 value, including HST). For $139, you get a tandem Jet Ski rental (a $277.76 value, including HST). Vancouver Water Adventures launches guests on Jet Ski and Sea-Doo tours of Vancouver Harbour, Howe Sound, Bowen Island, and Vancouver’s other surrounding aquatic areas; all tours launch from 1812 Boatlift Lane in Granville Island. During the two-hour wild tour, a nautical navigator educates customers on the scenery and wildlife of Vancouver’s local waters from atop a Jet Ski ($119 per person, plus tax). Expert guides lead pairs to the Pacific Ocean for stunning views of the shoreline and potential small talk with local whale pods. Tours equip riders with a snack and drink, fuel, a wetsuit, a life jacket, and a one-day boater’s licence issued to the driver. More experienced riders ready to tickle Poseidon on their own may instead rent ruddered steeds for a two-hour free-roaming excursion. For tour option, a $25 damage insurance fee or major credit card is required; for rental option, a major credit card is required for deposit. 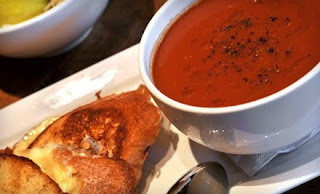 Groupon Vancouver Deal of the Day: $15 for $30 Worth of Global Comfort Fare and Drinks at Burgoo Bistro. Three Locations Available. This is a limited 2-day only sale that will expire at midnight on Tuesday, May 24, 2011. Click here to buy now or for more information about the deal. Quantities are limited so don’t miss out! Limit 2 per person, may buy 1 additional as a gift. Limit 1 per table. Dine-in only. Valid only for location purchased. Not valid for brunch menu. Must purchase 1 food item. Today’s Groupon: for $15, you get $30 worth of global comfort fare and drinks at Burgoo Bistro. Choose from the following locations: on West 10th Avenue in Vancouver, in North Vancouver, and on Main Street in Vancouver. Award-winning Burgoo Bistro invites diners to luxuriate palates in a menu comprised of global culinary bliss. Extinguish a dead-end flirtation with hunger with a starter of spanish meatballs ($7) or with the menu’s French ambassador of brie fondue with red apple and crusty bread ($13). Myriad soup and sandwich pairings make for potential combinations nearly as satisfying as the coupling of a blazing bonfire and embarrassing high-school-yearbook photos, such as curried-red-lentil soup ($7) alongside a bread-bookended delicacy such as the gooey cheese grillers with four cheeses ($12). Diners can also opt for classic entrees such as the irish stew, which marries Guinness-braised lamb with homemade dumplings ($18), or ratatouille provençale, a mouth’s birthday gift of oven-roasted veggies baked with bread crumbs and chèvre ($14). Rather than the traditional table flip, diners can wrap up meals with indulgent desserts such as sticky toffee pudding topped with hot caramel ($7). Meanwhile, a vast selection of beer, wine, mead, and fanciful cocktails such as mint juleps ($8.75) render throats clear and yodel worthy. This is a limited 3-day only sale that will expire at midnight on Tuesday, May 24, 2011. Click here to buy now or for more information about the deal. Quantities are limited so don’t miss out! May buy multiple. Subject to availability. Reservation required 72 hours in advance for yoga. 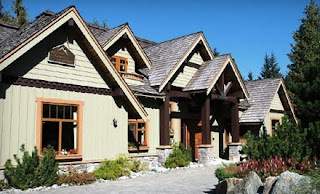 Today’s Groupon: for $369, you get a two-night stay for two at the Whistler Alpine Chalet Retreat & Wellness, along with a three-course gourmet breakfast each morning and a $100 yoga-class voucher (up to a $738 value). A luxurious, European-style eight-room boutique hotel, Whistler Alpine Chalet Retreat & Wellness helps guests restore lost relaxation points during two-night stays (a $518 average value, based on double occupancy). Chalet-inspired bed-and-breakfast-style rooms vary from the vaulted ceilings and jacuzzi tub of the Hemlock room to the cozy queen-size bed and private balcony of the Birch room. Delight in the delicious dichotomy of an outdoor hot tub in winter or take in picturesque views of nearby Alta Lake and the cascading mountains beyond. A private butler is at guests’ beck and call to attend to all manner of requests, ensure a stress-free stay, and to practice his best English accent for an upcoming dinner-theatre performance of Batman. Both mornings, guests wake to a three-course gourmet breakfast, composed of international cuisine prepared fresh by an on-site chef (a $120 value). Four yoga classes (a $100 value), such as the morning Vinyasa Power Flow course, are also included in the stay, keeping muscles from becoming too relaxed and sleeping through their wake-up call. Yoga must be booked 72 hours in advance by emailing [email protected] or calling 1-800-736-9967. This is a limited 3-day only sale that will expire at midnight (Monday, May 23, 2011). Click here to buy now or for more information about the deal. Quantities are limited so don’t miss out! Limit 1 per person, may buy 2 additional as gifts. Limit 1 per visit. Not valid 10/4-10/11. Not valid toward delivery. With today’s Groupon: for $20, you get $40 worth of flowers and gift items at Garlands Florist. Delivery is available for an additional charge. The professionally trained floral designers at Garlands Florist arrange bountiful bouquets with artistic flair and European petal-primping techniques. The shop’s flowers are a seasonal mixture of locally grown and internally sourced blooms, fit for brightening a room or the moods of friends, romantic partners, or disconsolate honeybees. Customers can also preorder bouquets to fit a desired colour preference or browse premade bouquets in-store. Garlands Florist also purveys a selection of gifts, including triple-milled French soaps ($9–$9.50) and a wide variety of decorative, soy, and taper candles ($9.50–$34.50). Meanwhile, the store’s stock of cards and stationery ($4.50–$29.50) can supply a more elegant and distinctive means of sending written communication than impersonal emails or carrier squirrels. This is a limited 3-day only sale that will expire at midnight (Sunday, May 22, 2011). Click here to buy now or for more information about the deal. Quantities are limited so don’t miss out! Limit 1/person, may buy multiple as gifts. Must use all classes and training sessions by 11/25/11. Not valid until 5/24/11. Locations and schedules subject to change. Not valid for drop-ins. New or inactive clients only. Limit 5 classes/location, limit 1 personal training session at Freedom Health Studio and Denman Fitness locations. With today’s Groupon: for $30, you get 15 fitness classes, plus a personal-training session, at MetaBody (a $300 value). This Groupon is valid at 26 Vancouver-area locations. A maximum of five classes can be redeemed at any single location, and the personal training session can be redeemed at either the Denman Fitness or Freedom Health Studio locations only. The inspiring trainers with MetaBody lead troops of workouteers in results-oriented workouts several times weekly. Fun sweat sessions utilize a variety of exercises and disciplines to produce full-body results in a supportive environment ideal for both beginners and hard-core core-hardeners alike. During any class, motivational instructors will use your instinctual distrust of routine to their advantage. Begin a day of litigating with a refreshing early-morning boot-camp session, or wind down by burning evidence and pounds with a late-evening yoga class. Muscles are kept guessing with new and challenging moves during each session, so participants never fall into a boring, ineffective routine, such as regular teeth brushing. In addition to the fitness classes, students receive a success guide to help prepare for imminent pound loss, a nutrition guide, and a $100 gift certificate for individual coaching. Since the pass sets a five-class cap at any given location, roving fitness mavens can further shake up their workout regimen by vetting a series of classes or instructors that work best for them. Today’s Groupon Vancouver Deal of the Day: Photography Package at Photography by Marlow. Two Options Available. This is a limited 2-day only sale that will expire at midnight (Friday, May 20, 2011). Click here to buy now or for more information about the deal. Quantities are limited so don’t miss out! Limit 4 per person. May redeem 2 Groupons per session. Valid only for option purchased. Valid only at listed locations. 48hr cancellation notice required. Limit 10 people per session. Not valid for business, editorial or headshots. For $69, you get a one-hour studio photo session, two 5”x7” photos, and five high-resolution images (a $265 value). For $99, you get a one-hour beach photo session, two 5”x7” photos, and five high-resolution images (a $340 value). Sharpshooters Robert Marlow and Heather Jean compress the essence of families, friendships, mothers-to-be, and beachcombers in graceful two dimensions. Unfussy backgrounds and classic lighting keep memories from clashing with the ottoman, and stately poses for proud graduates enable grandparents to replace frame-store grandchildren with the real thing. Up to 10 family members, friends, or randomly selected postmen may participate in the studio or beach shoot. After either session, the newly glamourized will be able to show off two 5”x7” photos and a disc with five high-resolution digital images. Groupon Vancouver Deal of the Day: Comfort Food and Drinks at Crave on Main. Two Options Available. This is a limited 2-day only sale that will expire at midnight on Thursday, May 19, 2011. Click here to buy now or for more information about the deal. Quantities are limited so don’t miss out! Limit 3 per person. Limit 1 per table. Limit 1 per visit. Valid only for option purchased. Must purchase 1 food item. Dine-in only. Not valid for 6/19. For $20, you get $40 worth of comfort food and drinks Thursday–Sunday. For $20, you get $40 worth of comfort food and drinks and a complimentary popcorn-shrimp appetizer Monday–Wednesday. Nestled in the stylish Main Street neighbourhood, Crave on Main indulges hearty palates and nostalgic appetites with thoughtful home-cooked meals anchored by succulent seafood and meats. Morning regulars flock to this upscale bistro to jump-start their aerobic engines with the savoury nourishment of cranberry-and-ginger french toast ($8), dungeness-crab-cake benny ($14), or a pep talk from the Quaker Oats guy. A bounty of creative recipes flourishes postmorning, including the perennial favourite, organic buttermilk-fried-chicken cobb salad ($16), crowned with avocado and roasted corn in a regal ranch dressing. 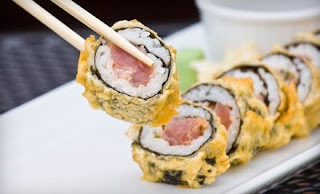 Gourmands can sate their varied dinner cravings with the ahi-tuna tempura roll ($11) or the organic sun-dried-tomato-and-basil meat loaf ($18) alongside a glass of house wine ($7+). Patrons convert edibles to energy in an intimate dining nook or on the eatery’s 30-person patio, teeming with fresh herb and vegetable gardens for impromptu garnishes and zucchini-carving contests. This is a limited 3-day only sale that will expire at midnight on Thursday, May 19, 2011. Click here to buy now or for more information about the deal. Quantities are limited so don’t miss out! Limit 1 per person, may buy 1 additional as a gift. Limit 1 per visit. Subject to weather. Not valid towards existing reservations. Valid towards Harbour Air and West Coast Air. Today’s Groupon: for $50, you get $100 toward a flight, merchandise, or a tour from Harbour Air. This deal is valid at the locations in Vancouver, Richmond, Victoria, Nanaimo, the Gulf Islands, Sechelt, and Comox. Harbour Air boosts wingless beings with first-class flights on carbon-neutral aircrafts, boutique stratosphere accessories, and picturesque seaplane tours. 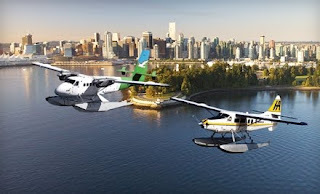 Eco-friendly seaplanes furnished with first-class amenities such as leather interiors and hands-free cloud parallel parking launch daily and link Lower Mainland and the Islands through panoramic flights that last 20 to 50 minutes ($156.53–$563.38 round trip). The airline’s auspicious boutique furnishes cloud gazers with flight-centric merchandise for gifts and seagull bribes. A small Beaver model plane ($41.99) carves its niche among collectibles with locally handcrafted western maple wood, and a Dax Wilkinson T-shirt ($34.99) celebrates Canadian aviation. For air aficionados wishing to take wing without travelling to a new destination, Harbour Air flightseeing adventures soar above Horseshoe Bay ($219/person), Vancouver and its surrounding turf ($99/person), and the Alpine Lakes neighbouring Mount Mamquam ($285/person). Tour durations vary depending on distance and blimp traffic, and many of the lengthy jaunts include a meal. Check in with Harbour Air for more information regarding weather cancellations and luggage requirements.